Producer Vince Rockwall is trying to find the right place to give a wrap up signal to our little group who is talking Houston sports. He moves a little to his right. Then a lot. We’re not seeing it. He gives up and moves to the other side of the set - and away from the lights. He finally gets our attention and we close out the segment. Best move of the day. 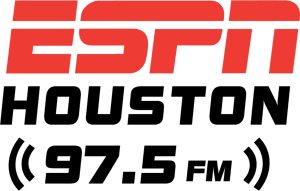 There were a lot of little things to iron out Thursday afternoon when longtime Houston sports personality John Granato, semi-newcomer Paul Gallant and I stepped in front of the cameras to tape the first installment of a new 30-minute Saturday morning sports show debuting tomorrow at 10:30 a.m. on Kube 57. The height differential. The cameras. The timing. The segment length. The one-liners. The script they edited on the fly. The normal TV production kind of things. And the name of the show? What else? There’s no screaming or yelling like you see on First Take or other shows. Just a good dynamic and strong opinions. Although we do have to admit that Gallant’s enthusiasm does drive him to get so excited that his voice steps it up a few decibel levels. That drew laughs all around. And, of course, led to a little smack talk. Granato, who hosts a morning show on 97.5 FM, is our measured , thoughtful, semi-grumpy leader. Gallant – Pauly G – is the very talented, opinionated young “kid” who is part of a morning trio on Sports Radio 610, that airs at the same time. And me? I’m a long-time TV reporter and the public relations director for the Harris County -- Houston Sports Authority. They call me Switzerland. But he also knows I’m a stickler for grammar and it’s hard for me to say the words we toss around on camera, like sayin’ and ain’t. I fact ain’t is an actual pet peeve! But the truth is after one show now, and remembering what it’s like to have John harass and irritate me, I might have to rethink this whole project! All kidding aside, John’s a pro and I love every minute of it. He will drive me nuts, but I certainly can dish it back. It’s kind of like a marriage, you have to have a little friction. And then there’s Paul, who started at 610 with a night slot. “So here’s the deal – the loudest guys are the hardest to shut up. You need to slow them down. Young whippersnappers. You’re going to have to slow them down and put them in their place from time to time. And that’s what’s going to happen here. We practiced once last week, then shot the first show Thursday. We talked about the Texans, the Rockets, the Astros and even threw in a little golf. In the coming months, we’ll be adding guests and features. And a lot of opinions. You couldn’t tell with the launch show. We breezed through. We bounce talking points off each other all week and pull the best together before we tape. The only strange thing? We’re agreeing a lot more than we thought. For me, the hardest part is these two are very good at what they do and they have very strong opinions and it’s interesting playing that role of Switzerland from a Sports Authority standpoint, because we are partners with teams, and I have to keep things from getting too far offsides. But mostly we just want to talk sports and have a little fun.